but the years seem to have been censored. I thought maybe they don't want to spoil when exactly this movie takes place, before or after Avengers: Endgame. 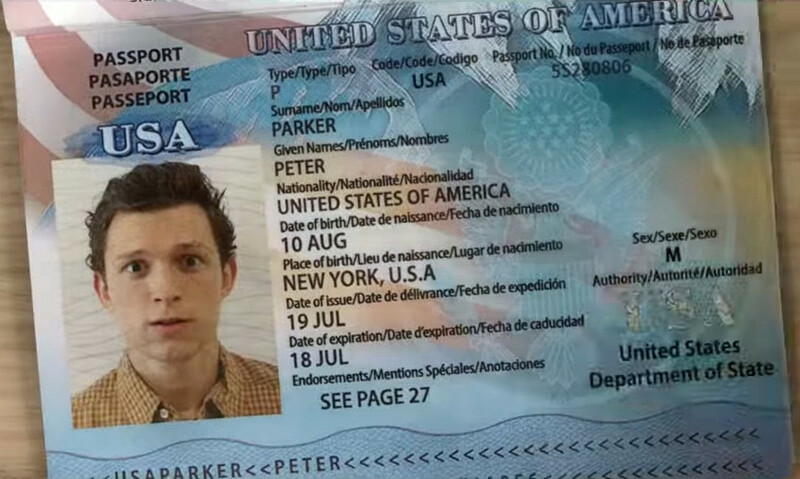 Why were the years in the passport blanked out? Now granted, the date could just be an intentional omission from the trailer and we’ll see it in the final product. Don’t forget, remember in the second trailer for Captain America: Civil War when we saw the two sides of heroes running towards each other? You’ll recall that Spider-Man was on Team Iron Man, but he wasn’t seen running alongside Stark and the others… in the trailer. But he was there in the finished version. The same could easily be applicable here. 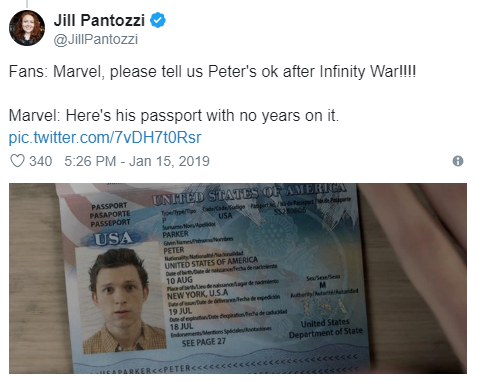 Keeping the year off would keep fans in suspense as to when Far From Home takes place even though, again, there’s already official clarification that this is after the events of the two recent Avengers films that precede it. Marvel made a real mess with timelines in the previous Spider-Man movie, as explained here. It makes total sense that in order to avoid such a mess in their new movie, they simply remove any "hard evidence" for exact dates in the movie itself, so they can put any date they want at later time. The official poster just announce when the movie arrives to theaters, and I don't think the passport timestamps there will be displayed in the movie itself. Why was the Hulkbuster program called Veronica? Why was the city collapsing? Why was the Wakandan attack so weak?